Now is the end of days in Sanctuary. The Archangel of Justice is silent - fallen, some say. And evil stirs across the land. Two great evils remain, and as a falling star streaks the sky and crashes in New Tristram, heroes from all walks of life gather to seek their destiny. Diablo III continues the tale of the youngest Prime Evil - Diablo, the Lord of Terror. Familiar faces like Deckard Cain make an appearance in this tale, serving to guide new players on their path while remaining a nostalgic balm for the players who have known him and fought Diablo since the first game. Here we have gathered an array of awesome accessories, including a variety of tees that allow you to show some love for both the good and the evil in this world. 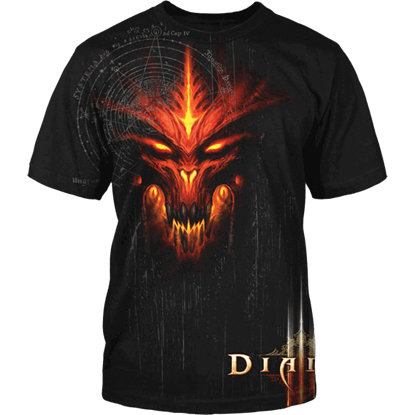 Diablo, the titular character, appears on a few shirts, casting an infernal style over some t-shirts, while Tyrael, the Archangel of Justice, reveals his angelic majesty and power on others. And of course, some shirts are dedicated to the heroes too, so that you can show your favorite of the bunch! Begin your adventure in the world of Sanctuary and your quest to defeat the evils in the world here, where we can supply you with all the Diablo III apparel and gear you need to show love for this game on a daily basis - even when you are not playing it! Fury is the force that powers every swing of a Barbarians weapons from Diablo III. This Diablo III Barbarian T-Shirt features the crest of this class, allowing players to show the world how they prefer to slay hordes of nefarious demons. Diablo, Lord of Terror, rises once more in the 3rd installment of the Diablo video game franchise. Will you have the courage to take up arms against this ancient evil? The Diablo III Face Keychain shows your acceptance of this task. Gamers can once more return to the world of Sanctuary in the third installment of the Diablo franchise to defeat the Prime Evil. 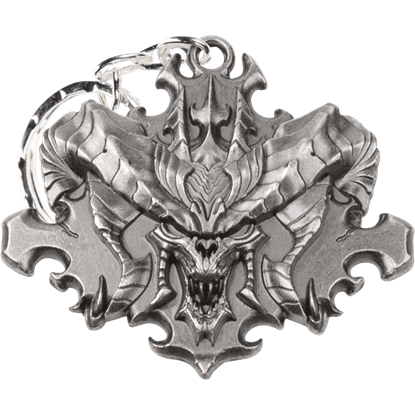 The Diablo III Logo Keychain displays the ornate game logo with the title over three red slashes. Strength of spirit is what makes the Monks from Diablo III deadly combatants at any range. 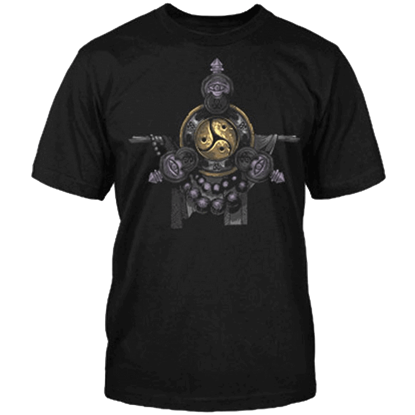 This Diablo III Monk T-Shirt features the crest of this class, allowing players to show the world how they prefer to cleanse evil from the world. No one can stop death. Not the former Angel of Justice, and not even the mortals who defeated Diablo. 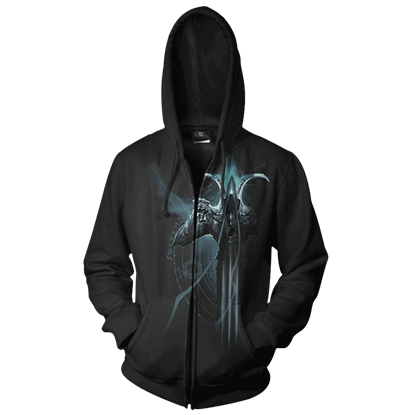 The Diablo III Reaper of Souls Malthael Hoodie gives form to death - and its angelic grace is truly terrifying to behold. A great evil approaches, and those who stand in its path know not what comes their way. Sanctuary trembles, and Diablo walks the realm once more! 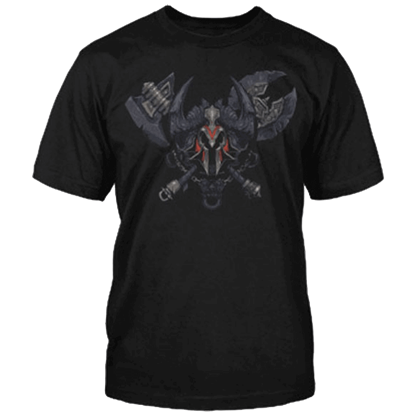 This Special Edition Diablo III T-Shirt is a garment that shows off the Lord of Terror!